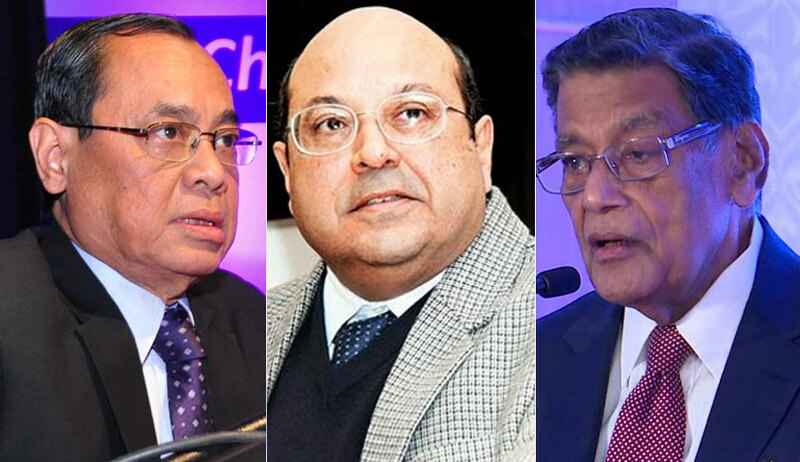 The Supreme Court bench of Justice Rajan Gogoi and Justice Rohinton Nariman has pulled up the Centre for slow progress in issues like updating the National Register of Citizens (NRC) and fencing of Indo-Bangladesh border. “From 381 kilometre, it has come to 26 kilometre in a year,” the bench said, adding “should we leave the fate of the country to your fabulous governance”, while referring to the report on border fencing issue submitted before the court. Additional Solicitor-General Tushar Mehta, who appeared for the Centre, told the bench that “India can’t be allowed to become refugee capital of the world”. Before hearing the Indo-Bangladesh border issue, the bench took note of Attorney-General KK Venugopal’s argument, while hearing the issue of NRC updating in Assam, that the Constitution has recognized the separation of powers and fixing the deadline fell in executive’s domain. "At the very outset, we would like to mention that to a pointed query made by a Member of the Bench (Hon'ble Mr. Justice Rohinton Fali Nariman) as to whether, if extension prayed for is to be granted, there could be a request for further extension in the future the learned Attorney General has submitted that such a possibility cannot be ruled out and, if required, further time will be sought". He argued after the bench refused to extend the December 31, 2017, deadline fixed for updating of Assam’s draft NRC. The apex court is monitoring updating of NRC-1951. The bench rejected the Registrar-General of Citizen Registration of India’s (RGCRI) application for extension of time till July, 2018, citing the reason that verification of 114 lakh people are yet to be done. The government’s senior-most law officer submitted that the government can seek more time as 2,500 people have been deployed to complete the work. Exclusion of genuine citizens and a hurriedly-prepared NRC would cause law and order situation in the state, he also said. According to the application filed by the RGCRI, the documents submitted by 38 lakh people are doubtful and yet to be verified. Around 47 lakh are related to verification of family tree, around 29 lakh persons’ cases pertain to married women who have submitted gram panchayat certification, which is also required for verification. "............Shri K.K. Venugopal, learned Attorney General for India has submitted that fixing a date for publication of the draft NRC is really an executive function and an order to the aforesaid effect by the Court would be an encroachment on the executive domain and violation of doctrine of separation of powers". "The aforesaid contention advanced before the Court for the first time overlooks the fact that over a period of three years the Court has been monitoring the matter and fixing appropriate time-lines for the completion of different phases of the exercise of updating the NRC. Even on the last date i.e. 13th July, 2017, when 31st December, 2017 was fixed for publication of the draft NRC the contentions now advanced were not made before the Court. That apart, it is the sheer inaction on the part of the executive in dragging the matter for a period of over three years and the absence of any justifiable cause to hold back even a partial publication that has led the Court to direct publication of the draft NRC on or before 31st December, 2017". The bench ventured into the meaning of the phrase “originally inhabitants of the State of Assam” as incorporated in paragraph 3(3) of the Schedule to the Citizenship (Registration of Citizens and Issue of National Identity Cards) Rules of 2003 with regard to the preparation of the NRC for Assam. The NRC of 1951 is being updated to incorporate the Assam Accord of 1985 in order to tackle the issue of illegal immigration from Bangladesh. After the apex court affirmed that residency certificates issued by gram panchayat secretary are not valid proof of Indian citizenship, the state NRC authorities distinguished ‘originally inhabitants’ from other applicants who had submitted the said certificate for registration in the NCR. As the phrase ‘originally inhabitants’ is not defined in either the Constitution or the Rules of 2003 and no guiding principle for the ascertainment thereof has been stipulated by the Registrar General of India under the Citizenship Act of 1955, objections were raised to the segregation so made. Venugopal replied, “According to me, so far as the phrase ‘originally inhabitants’ is concerned, there is a time factor involved; I would take the cut-off date to be 1966. There are a large number of merchants and traders who arrived in Assam prior to 1966 for business and have continuously been residing in the state. Such persons are Indian citizens either as per Article 5 and succeeding Articles of the Constitution, or under paragraph 3(3) in accordance with the special provisions made for the Assam in Section 6A of the Act of 1955.” The senior counsel further submitted, “There are 2 forms of citizenship - one, that is conferred in respect of the whole of India under the Constitution, and two, that is specially available under Section 6A in terms of the Assam Accord. Those who came in, say, 1968, are not citizens for the purpose of Section 6A and are not entitled to the benefit of paragraph 3(3)”. “The purpose of the NRC is to identify those who are not entitled to remain in Assam. To identify immigrants who have to be deported, we have to first ascertain who do not have to be deported. For this, we initially apply the Constitutional provisions to determine citizenship and then the ‘originally inhabitant’ clause to decide eligibility for inclusion in the NRC,” Venugopal said.